Happy birthday, Nadine! 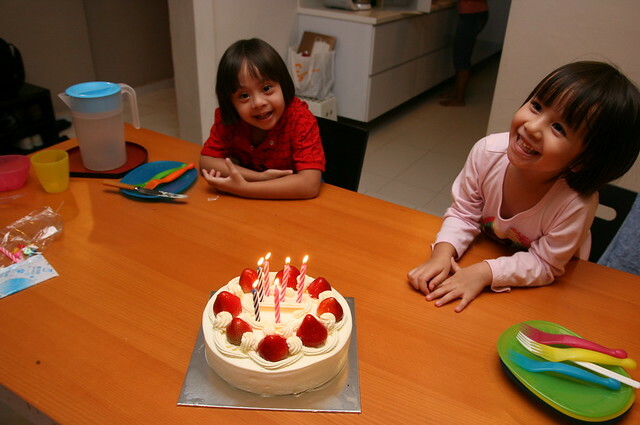 Six years ago, you were born on your daddy's birthday, so we get to celebrate both birthdays together always. Of course, guess whose birthday we always focus on more! 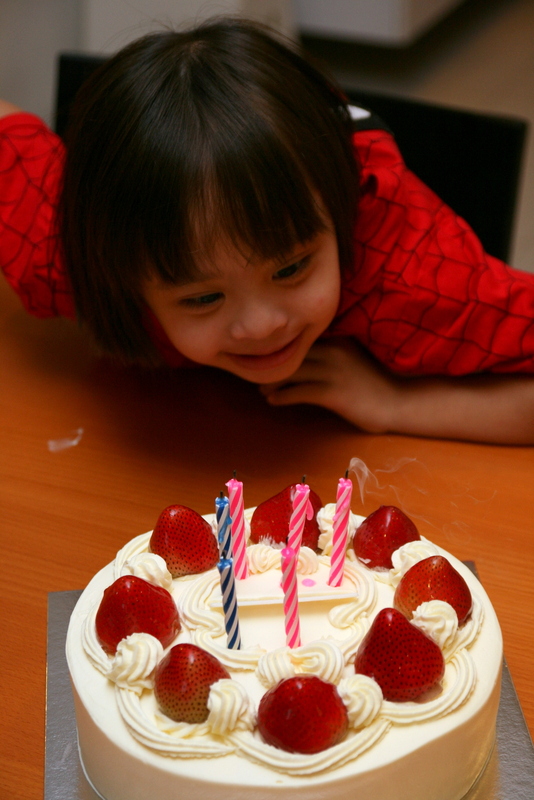 I never thought she'd be a Spiderman fan, but she just won't fall for Disney princesses or female superheroes. My little tomboy. We almost always get a strawberry shortcake for birthdays around the house. Everybody loves them. The cake, of course, had to be placed far far away prior to candle-blowing to avoid itchy fingers plunging into the delicious cream. 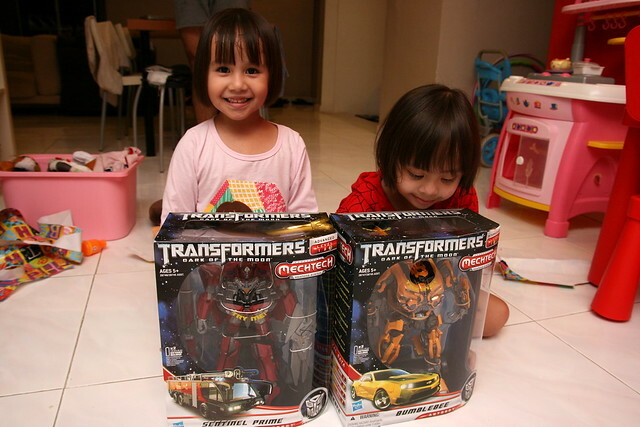 Both girls get presents - and they were absolutely delighted to get Transformers robot toys this year (besides the Spidey hooded suit for Nadine and Dora pajamas for Jolie). Hubby snagged a great deal on these toys (only S$20 each!). They actually transform into vehicles too (but with great complexity that stumps even us adults). Well, at least there's lights and voice action - that's always a hit. Yes, who says girls have to play with Barbie? you guys are awesome parents!